Having worked in the wine industry since he was a teenager, Rhys Pender MW has built his career across a wide range of roles from judge and writer to WSET Educator and grape grower. Canada’s youngest Master of Wine and a nominee for WSET’s Outstanding Alumni Award 2018, he tells us the benefits of having knowledge of both wine and food and which Canadian wines to watch. As a regular judge for international competitions, how has your WSET Diploma given you the skills to assess a wide range of wines in a universal language? Knowing the WSET tasting technique is essential to being a good wine judge. Diploma graduates all come out with a global palate and the ability to assess wines beyond personal taste and without the limitations of a regional palate that holds back some judges. How does your passion for food and additional education through a Professional Culinary Diploma aid your roles in the wine world? Food and wine are inseparable as we know and so much of the work in the industry sees the two cross over. I do a lot of emceeing food and wine dinners working with top chefs and pairing wines with different dishes so the training in both fields has been very helpful in that sense. Plus, we have to eat every day so it helps to have some training to eat and drink well! As a WSET Educator through your school Wine Plus+, have you noticed an increase in consumers wanting to learn about wine? What do you find they are most hoping to learn? There seems to be growing demand for wine education and especially WSET qualifications amongst both trade and interested consumers. 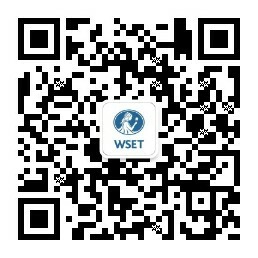 Students love the fact that WSET qualifications are truly global. I think one of the things the WSET courses do best is put everything in order. Prior to taking classes, students pick up jumbled odd bits and pieces of wine information here and there, but it doesn’t all slot into place until they take a structured course. They also love the exposure to the different wines of the world giving a global perspective and tasting wines they may not have tried before. Coming from a wine heartland like Australia, what inspired you to move to Canada to open Little Farm Winery? It was actually a circuitous route via Europe ending up in Canada. Even though I had worked in a wine store since I was a teenager in Australia, it wasn’t until travelling around Europe after university that I developed an interest in food which led to my interest in wine. Ending up in Canada, and after cooking school, I had the bug and I just kept pursuing wine education and then had to dive in and try planting a vineyard and making wine from scratch. Students love the fact that WSET qualifications are truly global. What wines do you make at your own winery and what other up-and-coming Canadian wines should people look out for? Little Farm Winery focuses on dry, steely Riesling and Chardonnay made with low manipulation from the calcium carbonate soils of Mulberry Tree Vineyard in the upcoming Similkameen Valley appellation. A lot of the wines are wild ferment, unfined and unfiltered and made without any additives except a touch of sulphur prior to bottling. The goal is to be a true reflection of the site and vintage. Some dry Rosé and a light, juicy Cabernet Franc as well as an Orange Riesling make up the rest of the portfolio. Canada is known for icewine but that is only a tiny fraction of what is made. And there is some great wine now being made. The warm days and cool nights are making excellent fresh yet intense Syrah, Cabernet Franc, Pinot Noir, Chardonnay and Riesling in British Columbia and Chardonnay, Riesling, Pinot Noir and Cabernet Franc in Ontario. Nova Scotia is making some top-notch sparkling wine too. Learn more about the Outstanding Alumni Award nominees on the WSET Awards and Graduation website here.